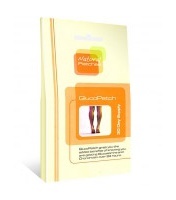 GlucoPatch is the new revolutionary way to take Glucosamine and Chondroitin. 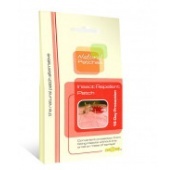 The GlucoPatch is a small, discrete transdermal patch that is placed on any hair free part of the body. The GlucoPatch delivers a constant dose of Glucosamine and Chondroitin over a 24 hour period. Scientists have shown that Glucosamine has greater benefits when taken over the course of the day, rather than in one dose. That is why the GlucoPatch offers a better, more convenient way of taking Glucosamine. Glucosamine and Chondroitin are important in the function of our joints. Chondroitin helps to form, nourish and replace Collagen, which helps make up our Cartilage. Glucosamine works along side Chondroitin to help stimulate the production and maintenance of Collagen. Together the two play an important role in cartilage metabolism, maintenance and regulation. Adequate amounts of these two nutrients can be crucial for our joints. Glucosamine stimulates the manufacture of substances necessary for proper joint function and is also responsible for joint repair. Chondroitin helps create a rejuvenating effect on cells and tissue and assists in joint mobility and range of motion. Ingredients - Glucosamine Hydrochloride, Chondroitin and Cetyl Myristoleate. Directions - Simply place one Glucosamine patch on a relatively hairless part of the body (the inner arm is perfect). After 24 hours remove and replace with a new patch in a slightly different position, to allow the skin to breathe (if there is any residue of adhesive left on the skin, wash off with warm soapy water). Store in a cool dry place. Keep away from children at all times. 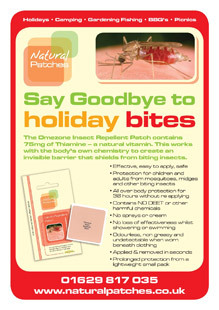 How The GlucoPatch (Transdermal Patch) Works - Most drugs are taken orally and dosage intervals may be inconvenient. Some drugs are partly destroyed or netralized in the stomach, intestine or liver before reaching the bloodstream. Accordingly a significantly higher dose is needed to ensure efficacy, which in turn may increase the risk of side effects. Doctors around the world are calling transdermal patches "the delivery system of the future" because it has been discovered that a high absorption rate of many supplements can be achieved when delivered through the skin. The reason for this is when supplements are delivered transdermally, they are absorbed directly into the blood stream initially bypassing the liver, stomach and intestine. Conversly, studies have shown when some substances are taken orally as little as 5% makes it to the cells where they needed. It is therefore not appropriate to compare a doseage taken orally with that in a transdermal patch.